Label and organize keys at home or at the office. 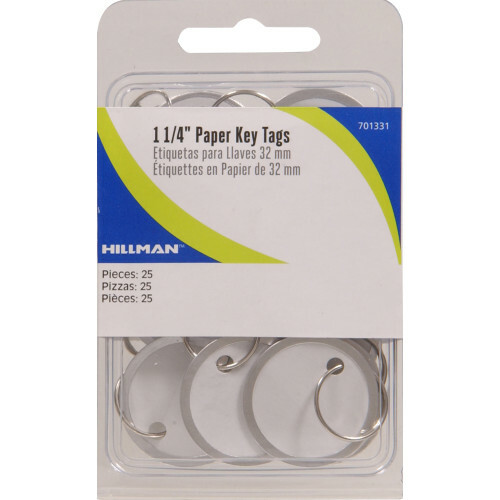 Customize the label with names, uses, or phone numbers to ensure that keys stay organized and clearly identified. The split ring is easy to attach and remove from keys, making it the perfect choice for short term identification.